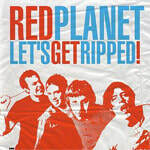 The San Francisco based bubble-gummy, power pop rockers Red Planet formed in the late 1990’s and instantly took the bay area by storm with their revved up hooky pop melodies and powerhouse guitar playing. The songwriting team of Jeremy Powers and Chris Dunn produced pop gems worthy of Lennon and McCartney. Their joyfully exuberant songs about love, relationships and girls, records, cars, breakups and bad jobs earned them a Bammie (Bay Area Music Magazine) nomination for Best Bay Area Pop band. They toured the country opening for the New York Dolls’ Syl Sylvain, as well as for 80s stars Howard Jones and Flock of Seagulls. In 2001 they were chosen by Budweiser Beer as the featured band in their series of regional commercials celebrating music and a good time. 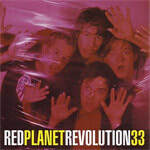 The song “Satellite Radio” from their first full-length Revolution 33 was featured in a documentary on the history of radio. 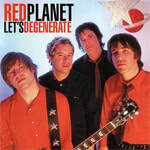 Hailed by all who heard them as the most radio friendly band Gearhead had ever worked with, they put out 4 records packed with sing-along pop melodies that the critics raved about as the next breakout band. But touring and personal relationships started to clash, and in 2004 they called it quits after releasing their 4th and final album of dreamy fuzzy pop anthems, We Know How It Goes. Several members of the band now play in new bands, including The Parties (on Rainbow Quartz Records).